As QNAP NAS evolves to support a wider range of applications (including surveillance, virtualization, and AI) you not only need more storage space on your NAS, but also require the NAS to have higher processing power. Just as we can scale storage to meet higher requirements, QNAP provides the ability to expand the processing capabilities of your NAS. With a dual-CPU processor and an independent operating environment on a single PCIe card (2.0, x4), the Mustang-200 can be installed in a compatible QNAP NAS (or PC) to provide a flexible performance boost to your IT infrastructure and applications. Use a single interface to allocate storage space and networking resources. Easily manage and view sub systems when multiple Mustang-200 are installed in the NAS. Mount host storage space easily through iSCSI or VJBOD to ensure you don’t have to worry about running out of space when operating multiple applications. Equipped with dual CPUs, the Mustang-200's computing power equals two NAS. Developers can create various applications on the card without interfering with other applications. 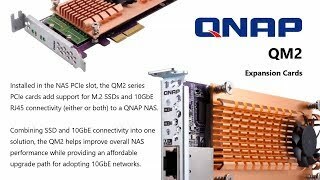 The innovative QNAP Mustang-200 computing accelerator card (PCIe 2.0 x4) features a dual CPU (including Intel® Core™ i5 / Core™ i7 / Celeron®) and graphics chip. By installing the card in your NAS, you can effectively increase the computing power and transcoding efficiency by the same power as two NAS. Each CPU on the card has a 10GbE network chip and has independent IP, allowing you to connect to external networks using any network interface on the host NAS. You can mount host storage space through iSCSI or VJBOD for the Mustang-200. The application operation is independent from the NAS QTS, so that when you operate different applications on the Mustang-200, there will be no performance interference. Models with Intel® Core™ i5 / Core™ i7 CPUs also have built-in M.2 SSD, providing additional options for faster and smoother application performance. Note: The storage space and network of the Mustang-200 requires the hardware resources of the host NAS/PC. The Mustang-200 can be installed in a QNAP NAS or a PC to expand the system’s processing capabilities. When undergoing high-speed data processing, the Mustang-200's CPU and M.2 SSD cooling modules can help dissipate excessive heat to ensure stable operations. The Mustang-200 is small in size yet provides complete functionality. It is powered by the intuitive and intelligent mQTS operating system and allows you to enjoy the same range of applications as seen in QTS. You can install a variety of applications on-demand through the built-in App Center, import other app stores, or perform secondary development on the Mustang-200 to explore further application potential. The Mustang Card Manager assists in centrally managing all of the Mustang-200 (subsystems) installed in your host NAS. You can monitor system status, configure network and storage resources, and connect to mQTS directly through the Mustang Card Manager for more detailed system configuration and application deployment. Monitor and manage CPU and memory usage, storage space usage, system health, disk health, and network traffic. View mQTS volume usage and create virtual disk space for storage allocation flexibility. View the network structure of the host NAS and Mustang-200. The system will guide you to the Network & Virtual Switch app for centrally monitoring and allocating network resources. Create multiple user accounts, allocate mQTS space to users, check online users, and remotely switch on/off the system. Install a Mustang-200 in QNAP NAS and instantly gain the processing power from the three CPUs to operate a variety of applications and enjoy enhanced productivity. You can run a virtual machine or a container application in two subsystems on the Mustang-200 and let the host NAS focus on running performance-demanding applications such as file processing or multimedia processing. By deploying different applications using independent system resources, you can ensure that each application does not interfere with each other, and each work group can use different QTS. IT resource allocations can be more flexible to meet individual needs. Install a Mustang-200 in your PC to empower performance-demanding applications. Using the QVR Pro surveillance applications as an example, the Mustang-200 can greatly improve the image processing capability of a host PC. Note: The QVR Pro Accelerator App (available soon) is required to deploy QVR Pro on mQTS. The PC outputs footage from four 4K cameras on QVR Pro to a 4K screen. At this time, the graphics card on the PC must run 4K image decoding, 4K image resizing, and encryption after resizing, resulting in intensive and heavy workloads. If you want to add more cameras, the image processing power will not be enough. Install a Mustang-200 in the PC and run the transcoding software in the mQTS system to help share the processing of 4K surveillance feeds. With the Mustang-200’s computing power, the host PC that could only handle four 4K cameras can now process more footage from more cameras and improve the management efficiency of monitoring tasks. Install a Mustang-200 to add enough image processing capabilities for twelve more 4K cameras. 1. The host NAS requires QTS 4.3.5 (or later). 2. TVS-1282 and TVS-882: 450W power supply models only. 3. TS-1685: 550W power supply models only. As QNAP NAS evolves to support a wider range of applications (including surveillance, virtualization, and AI) you not only need more storage space on your NAS, but also require the NAS to have higher processing power. Just as we can scale storage to meet higher requirements, QNAP provides the ability to expand the processing capabilities of your NAS. 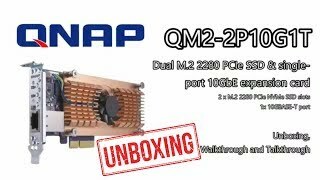 With a dual-CPU processor and an independent operating environment on a single PCIe card (2.0, x4), the Mustang-200 can be installed in a compatible QNAP NAS (or PC) to provide a flexible performance boost to your IT infrastructure and applications. Use a single interface to allocate storage space and networking resources. Easily manage and view sub systems when multiple Mustang-200 are installed in the NAS. Mount host storage space easily through iSCSI or VJBOD to ensure you don’t have to worry about running out of space when operating multiple applications. Equipped with dual CPUs, the Mustang-200's computing power equals two NAS. Developers can create various applications on the card without interfering with other applications.